oh, sweet joy! : it's tuesday. time for a toms tribute. don't mind the great alliteration. kim, what's an alliteration? only my favorite literary device. go here to find out more, if you must. 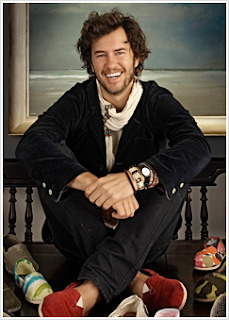 i've written about toms shoes on my blog several times. like here...and here...here...and here too. honestly, it's because i think it is the coolest company out there. cute shoes for a good cause? say no more, i'm in. i bought my first pair my sophomore year of college...so in 2006 when toms first got started. I'll admit, they were a big hit on Texas A&M's campus, so I won't act like I was a trendsetter...just a faithful customer. and then i glued some burlap onto them. they were pretty awesome...until the burlap started to fray off. then i painted them at a toms party. they look weird to me now, so i haven't worn them more than 10 times, i'd say. maybe i should cover them in fabric. OOOH! brilliant. and she gave me these. oh, earth toned toms. you are always a winner. then, i got these cuties last spring/summer. they may be my favorite pair they've ever made. my sister-in-law (seriously, she's awesome) gave me another (!!) pair for my birthday, but they were too big :( linen has a tendency to stretch big time so i traded those in for these cute cordones. finally, my heart has been long awaiting the toms wedge. i love me a good peep-toed shoe, but when you combine that with toms "one-for-one" promise, a summery mint-green, and a great wedge, they are simply irresistable. they should be here next week. anywho...head on over to www.tomsshoes.com or www.toms.com and buy your first (or second, or third) pair of toms, if you haven't already! it's such a good cause, they are trendy, they come in fun colors, and they really are the most comfortable shoe you'll ever own. i LOVE the mint green ones you bought! i may have to buy myself the exact same pair! i will be jumping on the tom bandwagon soon, woohoo!! we have a rule in our house that when i buy a new article clothing i have to donate 2... it doesn't really work, LOL! I love love love TOMs shoes. 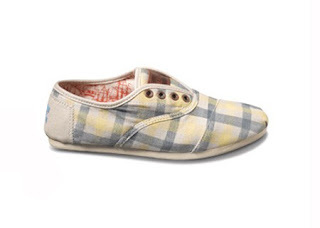 I just bought my first pair in April, linen yellow and I love them!!!! I love the brown and yellow ones that you displayed SUPER CUTE!!!! I love the wedges unfortunately I am horrible with heels and would kill myself in them, but they are cute! 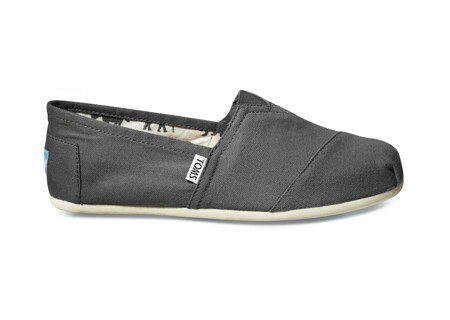 And I just bought a pair of the charcoal gray ones! Haha how funny is that? 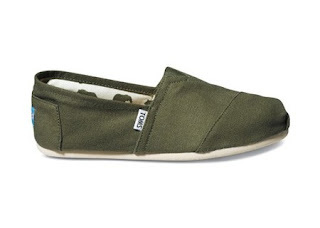 so i won't lie-i like the cause and all but i am not a fan of how the original toms look-at least on me. they just look frumpy. and they do stretch...however the wedges are so sizzling hot eva!!!! I love your little TOMS collection! The women in Africa who make them are earning money to go to university. Many of them are the first women in their family to do so. Pretty awe inspiring stuff. Hooray for social entrepreneurship! Cute post! I'm dying to get the navy and white stripped toms wedges!! i've been wanting to buy a pair of tom's for some time now -- they are so cute & look so comfy!! and what an amazing cause. i'm really digging those minty pumps!